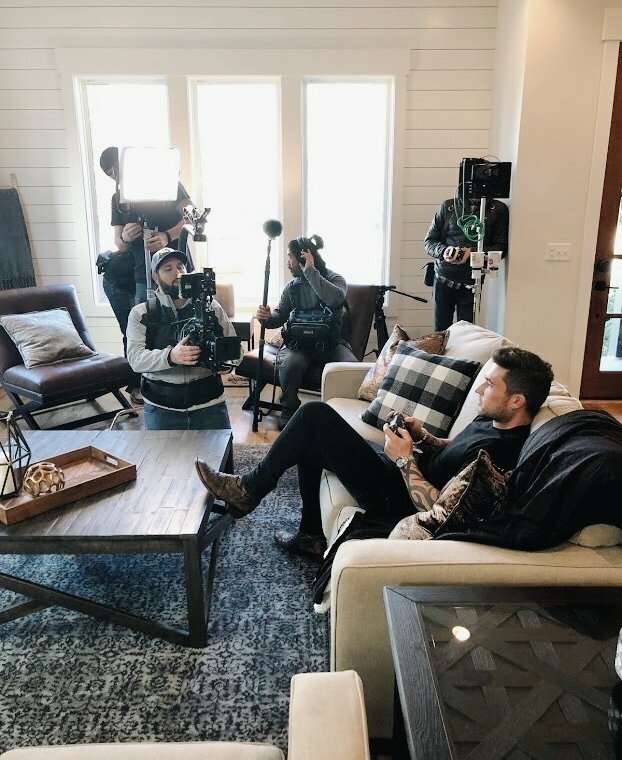 Ashley’s passion for design, home and country music inspired our This is Home series, a multi-week Instagram series that takes a deep dive into the meaning of home with influencers and artists. Expect exclusive room tours, jam sessions and learn how their newly designed spaces improved day-to-day lives at home. Michael Ray, a Florida native, developed a love for country music from his late grandfather, Amos—which is the name of his most recent album in tribute. Amos’s lead single, “Get to You,” has charted in the top 20 on the Billboard Country Airplay chart and “One That Got Away” is currently top five. “I feel like without him, I wouldn’t have this house,” Michael Ray said. When you don’t spend much time at home, you’ve got to make the most of it. After being on the road, he let us know that it’s nice to come home to a comfy couch and relax, watch movies, and play videos games. Michael described himself as an earth tone guy, so that’s the route he chose when decorating his living room. 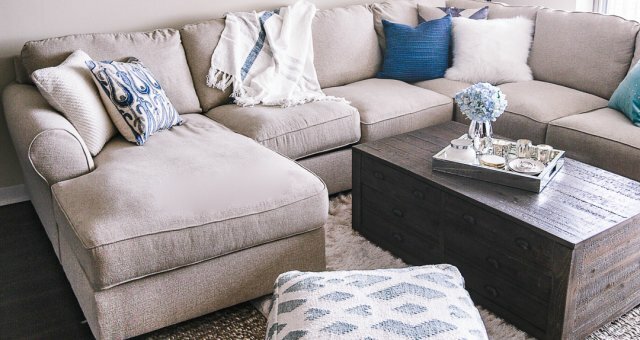 His time at home is limited, so we wanted to make the space extra special and comfortable for days to unwind by himself, with family or with friends. This meant adding plenty of textures and sleek wood pieces for a clean, yet rustic finish. A special corner of his living room is dedicated to some of his accomplishments: hanging are two plaques for #1 songs, as well as medals for other songs he’s written. We took Michael’s bedroom and incorporated neutrals, as well as grainy woods and natural elements for a cozy farmhouse aesthetic that’s extra welcoming after long tour schedule. Check out both of the complete spaces below. One of the best parts of our visit was having Michael grace us with a jam session! 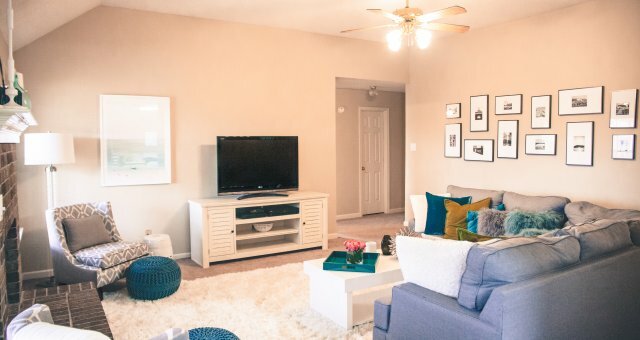 While looking at his home and accomplishments, Michael said, “I can reminisce on how far we’ve come—from being five of us crammed into a two bedroom two bath apartment, to being able to live in a home like this…” He does have a stylish spot, right? Check out the full tour below!